Uber is your private driver in more than 40 countries. ・Request a ride using the app and get picked up within minutes. On-demand service means no reservations required and no waiting in taxi lines. ・Compare rates for different vehicles. Add a credit card to your secure account so you never need cash on hand. ・Easily set your pickup location on the map, even if you don’t know the exact address. Get connected to your personal driver and check the progress of your Uber at any time. ・Sit back, relax, and go anywhere you want. We’ll email you a receipt when you arrive at your destination. We’re thrilled to unveil our new app. 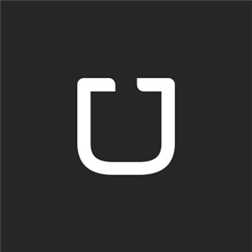 Now you can enjoy the complete Uber experience on your Windows Phone! Founds one of same niche blog which i am writing. Nice work done.